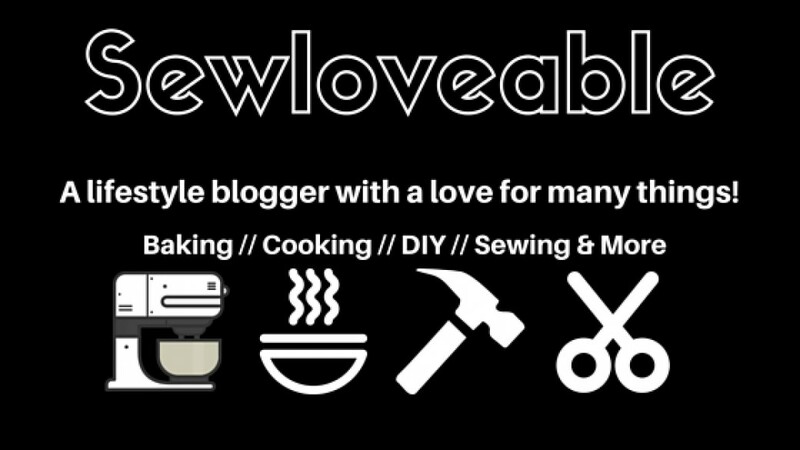 Sewloveable | A lifestyle blogger with a love for many things! A little over a month ago one of my favorite sewing bloggers Tabitha Sewer displayed her cooking and baking talents on Instagram. She was making all sorts of dishes from Joanna Gaines latest cookbook Magnolia Table. It was the moment that she made the After-School Banana Bread for the 2nd time and repeatedly said this is the Best Banana Bread I’ve ever had, that I had to have this cookbook. I had to see for myself. I purchased the cookbook on a Sunday and baked the Banana Bread that Monday. Let me tell you something. This is the Best Banana Bread I’ve ever had. In Sewloveable style, I did my own adaptation of this recipe and my family and I devoured the Banana Bread and they said. … this is the Best Banana Bread you’ve ever made. Now, this brings me true joy because my family is very picky, so to win over their taste buds is no easy task. Here is another victory for the books! Now let’s get into the good stuff, the recipe. Grease and flour an 8×8 baking pan or line with parchment paper. In a large bowl or stand mixer add you bananas and mix until smooth. Next add your sugar, butter, eggs and blend until everything is incorporated. Add the dry ingredients into the wet. Mix until just combined. Pour and spread mixture into your baking dish and bake for 45-50 minutes. Once cooled cut and enjoy the Best Ever Banana Bread! I hope you will give this recipe a try and to see why I add soursop leaves, please check out my last post here. Ok, so I am now obsessed with chickpea flour thanks to this recipe. My youngest would love it if I made these biscuits every day she is a serious biscuit lover. Why haven’t I been using chickpea flour long before now? Especially when you consider all the many benefits it has to offer. So now that we’ve gone over all the wonderful benefits let’s make some biscuits. * The vegan alternative for this recipe will be listed below. 3. In a large bowl add flour, baking powder, and salt. Stir to get everything evenly combined. 4. If adding herbs and seasoning, add and stir to evenly incorporate. 5. Add in the butter or vegan butter and stir to evenly distribute. 6. Add milk and mix to bring everything together. 7. Using a 2″ ice cream scoop, drop your biscuits onto your lined baking tray. 8. Bake for 10-12 minutes. When done the biscuits will be a beautiful golden brown on the bottom. 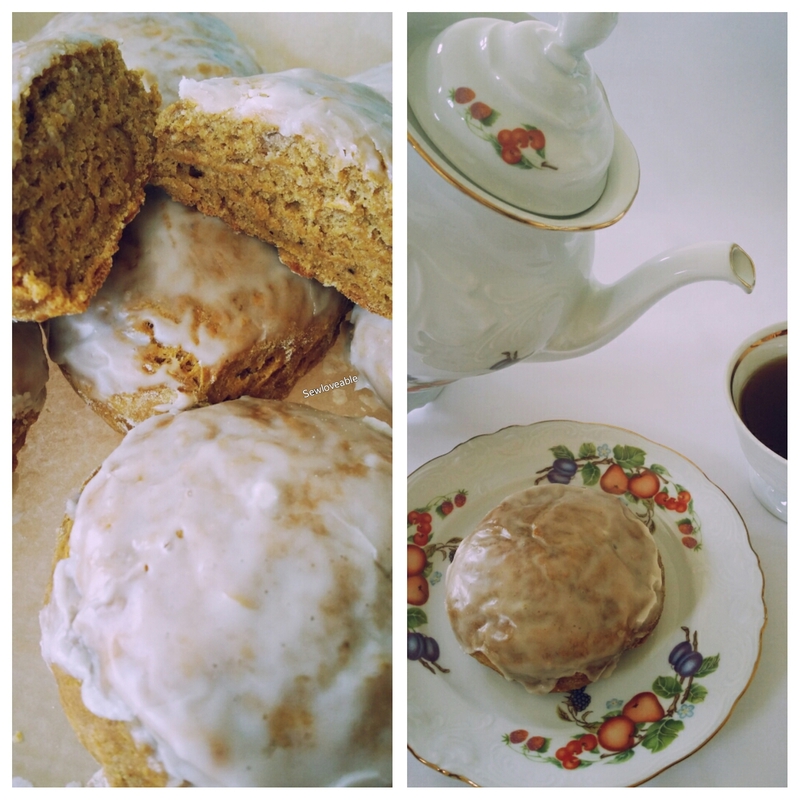 If you’ve never tried baking with chickpea flour……I really encourage you to give it a try. If you’ve been baking with chickpea flour…….why didn’t you tell me how delicious and great it is? I hope you give this recipe and try and enjoy it as much as my family and I do. A few days ago a friend of mine mentioned that she was in the mood to cook Red Beans & Rice. My reply was that sounds delicious! So I decided that this dish would be included in my weekly meal planning. For the past month, I have been deciding what dishes I will make for the week and make my grocery list based on the meals for that week. WHHHYYYYYY haven’t I been doing this all along? It makes life sooooo much easier from the shopping to preparing the meals. Back to this dish so my friend hates crockpots and I LOVEEEEEEEE cooking in the crockpot and I cook in it as often as I can. For me, it takes the fuss or stress out of cooking. For her, she says her food never comes out the way she wants it to. Thank goodness that never been my experience. So a few day’s later I mention to my friend that I am going to make the Red Bean & Rice and she made a suggestion that I knew would make this dish magnificent. She said to add a bit of that jerk seasoning that you love so much. At that very moment, I knew exactly how I was going to make them and I felt certain that they would taste amazing! Fast forward……….this dish turned out even better than I envisioned and now it’s time to share. The night before, place your beans in a large pot and fill with cool water to cover the beans by a few inches. Cover and let the beans soak overnight. Drain the soaked beans in a colander and rinse with fresh, cool water. Add the rinsed beans to the crockpot. Next add the veggies, broth, salt, seasonings/spices, baking soda, and stir to evenly mix everything. Set crockpot on low for 8-10 hours or high for 6. I prefer low for 10 hours. Serve with rice and a garnish of choice! Now you can enjoy your delicious labor of love! Today I wanted to share an article that I thoroughly enjoyed and I thought you would too. As a part of my weekly self-care routine, I LOVE a detox/nourishing bath a couple times a week before bed. It’s so relaxing and rejuvenating and I find that I sleep so much deeper when I take them. I do my best to be very consistent as this was a pledge to myself for better self-care. It helps to ease the stress of life and strengthen me to take on another day. We all owe it to ourselves to invest time to do things like this for ourselves ON A REGULAR BASIS…..because it truly is a necessity. Besides who doesn’t want to feel relaxed and rejuvenated. One of my favorite recipes to use is…….. This bath is so relaxing and enjoyable. I sleep deeper and wake up energized ready to tackle the day! To find out more benefits of baths like this check out the article below. I hope you enjoyed the article shared within this post and that you will give the bath a try and give yourself some much-needed pampering. Thank you for taking the time to stop by and here’s wishing you excellent health and wellness! I have been wanting to try my hand at making scones for a while now. I wanted to try something I’ve never tried before. So I mention to my daughter’s that I am going to give scones a try and they are quite excited about it……until I say I am going to make Pumpkin Scones. The looks on their faces went from excited to thoroughly disappointed in a matter of seconds. Those looks slightly discouraged me but I was determined to try and change their minds on their view of pumpkin. I love pumpkin everything. So I like to encourage them to just try and taste thing’s they ordinarily would not. 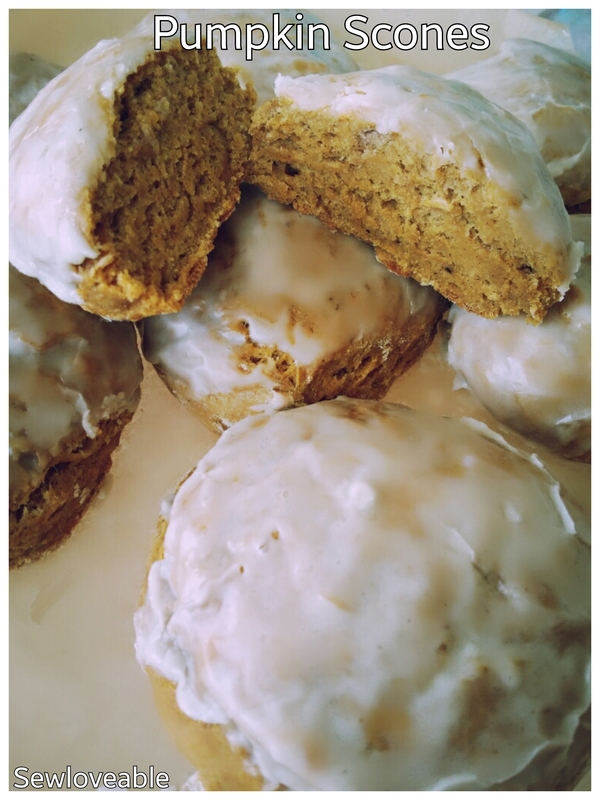 In the end, my oldest is just not a fan of anything pumpkin but my youngest who was the biggest skeptic……..now LOVES Pumpkin Scones! Which may mean she will be more open to pumpkin flavored items in the future. To win them both over is a wonderful victory but for today I am happy to win over, at least, one of them! 3. Add your vinegar to your almond milk, stir and set aside. 4. In a large mixing bowl, combine your flour, sugar, baking powder, baking soda, salt, cinnamon, ginger, nutmeg, and clove. 5. Add your vegetable shortening to your flour mixture (aka dry ingredients.) Using your hands work it in thoroughly until your consistency is that of somewhat fine breadcrumbs. 6. Make a well in the center of your dry ingredients. Pour your milk, pumpkin puree, and vanilla extract into the well you created. Using a spatula or your hands combine until all your dry ingredients are wet. No kneading. 7. Turn your dough out onto a floured surface. This is a wet and sticky dough. Gently pat the dough out using your hands. It should be about 1″ thick. Using a biscuit cutter, cut out your scones and place them onto your parchment lined baking sheet. Gather your remaining dough and continue…..just don’t knead too much. 8. Place into your oven to bake for 12 minutes, or until lightly browned. Allow them to cool for 15 minutes on the baking sheet before you glaze them. 9. While the scones cool, make your glaze by adding the powdered sugar and water into a bowl and mixing together (*optional add a splash of vanilla extract if you desire.) Dip the tops of your scone in the glaze and place back on your baking sheet. Now it’s time to enjoy your labor of love! I recently shared a post about the dangers of MSG and why you should avoid it. If you missed it you can check it out here. Today, I am sharing an article that shows the many names MSG is disguised under. Needless to say after reading it and doing my own additional research I had to clean house. It was in some of my supposedly health hair products, natural supplements etc. I encourage you to check out the link below so that you are aware. Let’s help each other be healthy and happy!